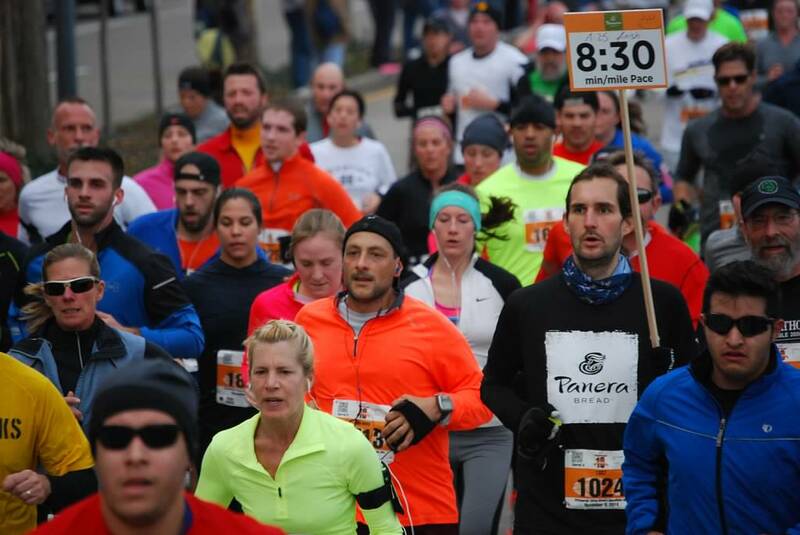 On Sunday, November 09 2014, I ran the EQT 10 miler in Pittsburgh. I was honored for being selected as a Pacer for this race and has to stick to a 8:30 min/mile pace for 10 miles.The race starts in Station Square in Pittsburgh and go for 10 miles in the Western part of the city. At that time of year, the weather can vary a lot. It can be the perfect running condition or just let you miserable for a while. Hopefully, this year, it was great! You can pick your packet on Thursday at Fleet Feet in Pittsburgh or on Friday and Saturday in Station Square. The bag contains a nice long sleeve tech shirt from North Face, some goodies and discounts for local shops. The expo is really minimal with few local vendors and shops but, as I am not a big fan of race expo, it did not really matter. But if you are looking to shop for running gears, they are great shop in the area! Going to the race can be challenging. Parking is very packed in the garage in station square and it is better to come early to be sure to be on time. We were on site at 0650am and parked just at 0715am. If you want to be on time, avoid the long and packed lines, park in downtown and walk (or run!) to Station Square! As Fedex provides a drop bag service, you can easily walk there, wear a coat, drop it at the package drop and have it back at the finish line! The race started at 800am with several waves depending on your pace. Everything goes very smoothly. The route goes on the West End bridge and let you discover the West part of the city. Unfortunately, it is not very scenic and does not offer the best of Pittsburgh: you run mostly in the industrial area and, when passing nice neighborhood, the route avoids them so that runners go in side streets. This was a deception because you do not run through the cool neighborhoods that use to cheer runners. Instead, it shows creepy parts of Pittsburgh. Why starting in the West of the city whereas the starting line is close to an active neighborhood (South Side)? Why we do not go through the Mexican War Street or even East Ohio Street? This is unfortunate that the route does not highlight Pittsburgh’s neighborhood, this would be a good way to attract people, invite them to discover more of this city and sign up for the marathon. The marathon route is great and Pittsburgh folks are great to cheer and be supportive. Having a EQT route that covers some parts of the marathon would be a great idea! This would just shows how this city (and its marathon) is so great! The elevation profile is not too bad and the race director did a great job to avoid big hills. This is something that definitively scare many runners coming from other cities: Pittsburgh has the reputation to have many hills. So, when pacing, runners often ask when is the next hill or when are we done with hilly sections. Hopefully, the course is almost flat (look at the elevation profile below) and the average runner should not have a hard time during the race. Also, there are water stops (with water and gatorade but no gels/food – which is totally not necessary for 10 miles!) and aid stations. After crossing the 10 miles mark, you get a finisher medal and walk through a line with water, food (banana, bagels and probably other things I forget!) that ends in Market Square in Downtown (where you can get coffee from various vendors!). If you are considering to sign up for a fall race, the EQT 10 miler is definitively an appealing one. Good support, nice running weather (if you are lucky), this is a great simple fall race. Even is it would be nicer with a better route, the swag and the finisher are nice and considering the other races in the area, it will probably become one of the must-go fitness event in the area. 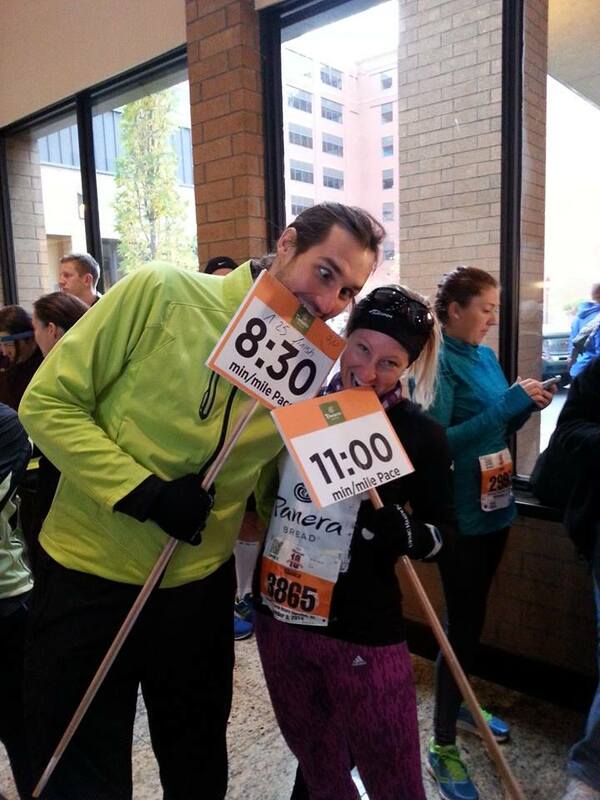 So did you hold your pace of 8:30 for the entire race? According to http://www.mapmyrun.com/workout/790342795 (my GPS data), I got a 08:30 pace overall. I run faster some parts but obviously, being at 08:30 exactly the whole race is difficult. I know pacer that also take a lot of time in the last miles to be on pace. So, I am assuming that as long as you cross the finish line at the expected time (which was 1:25 for me), this is ok!